On Sunday, October 28th, The Jewish Federation of Greater Los Angeles hosted its 6th annual Tour de Summer Camps, the community-wide cycling fundraiser that raises money to provide scholarships to send more kids to Jewish summer camp and help them build lifelong connections to Jewish identity and values. The day began at Camp Alonim on the Brandeis-Bardin Campus of the American Jewish University in Simi Valley, California. Participants stood together for a moment of silence and solidarity to commemorate the enormous loss and tragedy in Pittsburgh. Before the rides began, Rabbi Ron Stern and Rabbi Joe Menashe shared words for healing and strength for the victims of the attack at Tree of Life Synagogue. The Federation has raised $7 million over the course of six Tour de Summer Camps events. 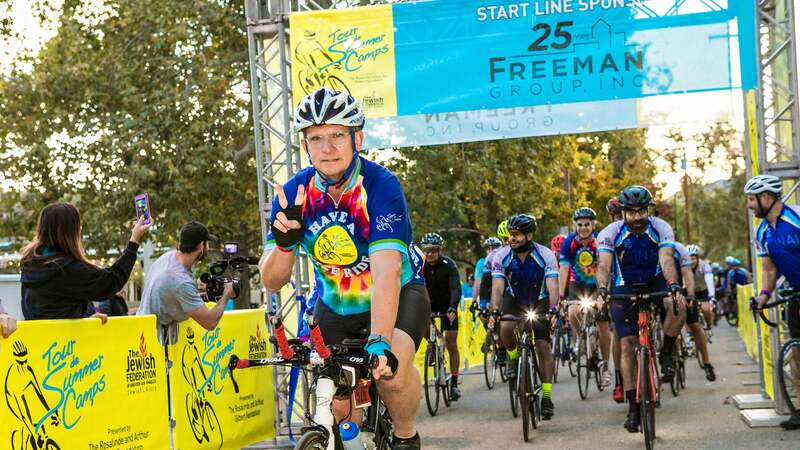 This annual event features four bike routes — 18, 36, 62 (metric century), and 100 (century) miles, and brings people of all ages together to support an important cause. This year, for the first time, the event featured an opportunity to Cycle at Camp, in which 50 participants rode stationary bikes in an outdoor spinning studio. With over 500 participants, this year’s Tour de Summer Camps raised over $1.23 million to help send kids to Jewish summer camp. The goal of Tour de Summer Camps is to provide the opportunity for every child who wants to attend Jewish summer camp to be able to have the experience. Attending Jewish summer camp as a child translates into maintaining a strong Jewish identity as an adult. 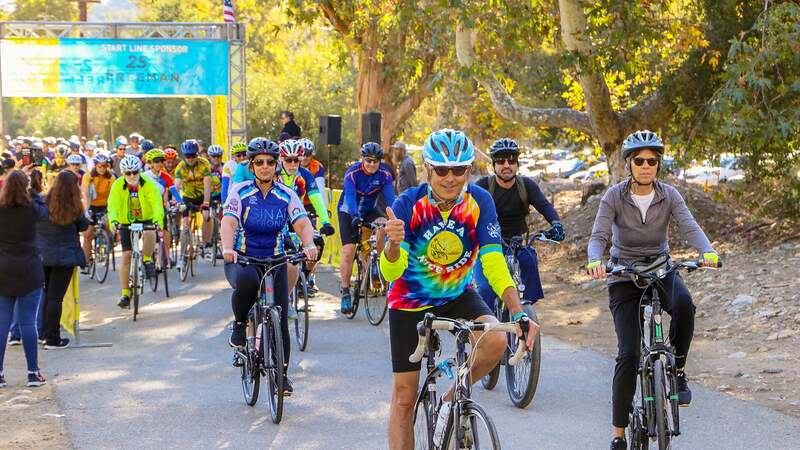 Proceeds from the ride will support summer camp scholarships to give more kids that lifelong connection to Judaism that Jewish summer camps fosters, which in turn helps ensure the Jewish future — one of The Jewish Federation’s top priorities.